There's certainly no shortage of variety in my life at the moment. Today I've been writing about machine guns, diggers and dancers in Las Vegas, as well as tweaking another story about a Hitler tour in Munich. I'm getting emails about walking through the Outback in South Australia (starting from the Dig Tree of Burke and Wills fame, which I just happen to be reading a book about). Someone else is wrapping up loose ends from my airline disaster in Tahiti, which is the destination I'm writing about next. Meanwhile I'm organising a house-sitter and liaising with the PR people from Visit England and Visit Scotland about my trip there next month; answering questions about Hobbiton from someone in Kuwait; and going green with envy at the countdown for my South Africa buddies to their epic car rally from Namibia to Zimbabwe. 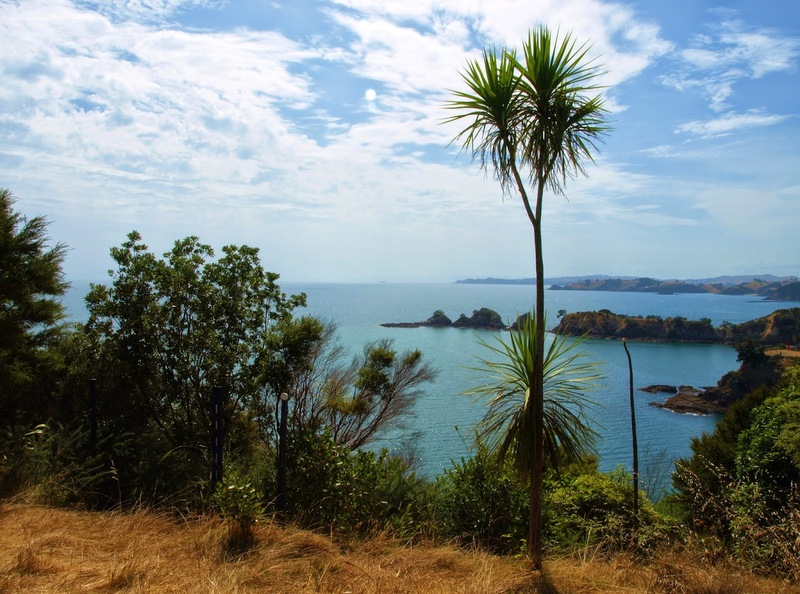 Oh, and getting stuff together for another stay on Waiheke Island at the weekend while messaging a daughter in Chile. It's hard to imagine what it's like to be my dear old aunt, who has no desire to travel whatsoever and has rarely ventured beyond the county borders of Surrey. It's not that she's uninterested in what the rest of the world is like: she just doesn't want to go there herself. There are still people like that around, in every generation. I met a young man yesterday who's lived in Auckland for years and has never been to Waiheke; the car hire girl at Townsville airport has never made the 20-minute crossing to Magnetic Island, either. "I get sea-sick," she protested. Well, pft. Pathetic. Not wanting to go places, being perfectly satisfied with just seeing them on TV or in magazines, is really missing out, I reckon. It's literally 2D, and nothing like being there, feeling the heat or cold or humidity on your skin, smelling the frangipani or curry or drains, hearing the wail of the muezzin, the racket of galahs at dawn or the roar of millions of litres of water pouring over Iguassu Falls. You don't get the buzz of being somewhere famous, or connecting with people who on the face of it are very different from you but turn out to be pretty much the same after all, or doing things that are a bit challenging and scary.